Home steam bath is great choice for maintaining fitness. It not only helps you in losing weight but makes you look smart also. A growing number of people are installing steam bath at their homes. Many people are adding up it to bathrooms whereas some are using it in well ventilated areas of their house. A home steam bath system can be installed into new construction or in an existing room. Basically, you have three choices for installation of a steam bath unit. 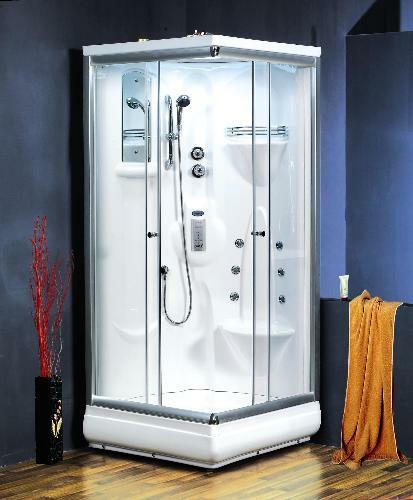 You can buy and install modular steam cabinet, purchase portable steam bath or build your own steam room. You can convert an existing bath tub or shower into a steam room or install a modular steam bath. Modular steam bath units are available in many shapes, sizes and designs. 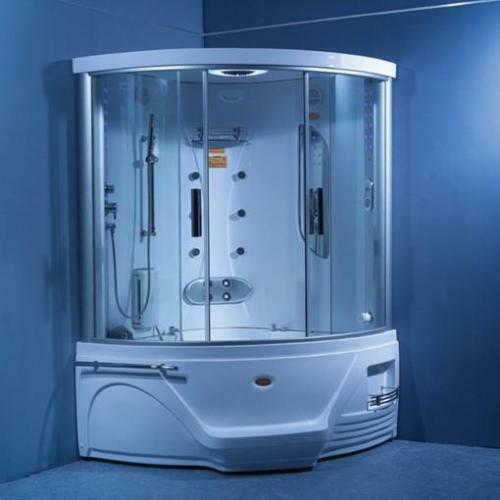 Before purchasing modular steam bath unit decide the size and features of cabinet. Some units have extra features such as lighting, built-in seating, foot massager, bath tub, CD player etc. Placement of steam generator is essential as it is small unit and can be placed under cabinet. Portable steam bath is space saver. It is a good option for small apartments. It is available in different sizes, shapes and designs and can be placed in a corner of bathroom, bedroom or in a room where you want to place it. 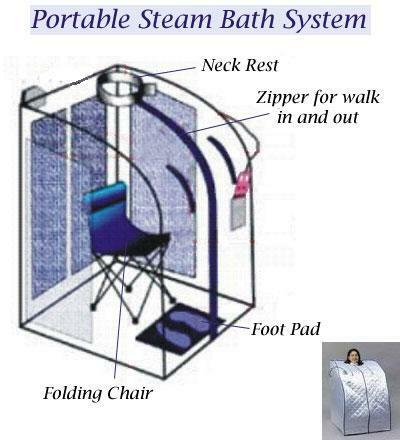 Portable steam bath is cheaper than built-in bath/ modular steam bath unit. 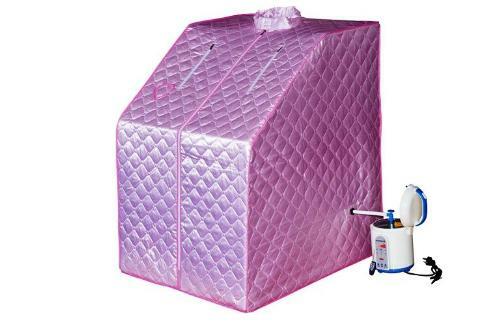 The set up of portable steam bath is easier than that of built-in bath. If you are building a new construction, ask your builder to use proper material to make your steam room steam proof. The material used for bathroom should be water proof. The wall and ceiling should be covered with steam proof material like Granite, ceramic tiles stone or acrylic panel. Steam is a highly penetrating form of moisture and can cause serious damage if it gets into the structure of the house. Proper drainage of water, plumbing and sanitary is important. Steam bath is great for maintaining good health. It can help you loss weight and look smart. It increases radiance on your skin as it opens pores found in skin and promotes cleaning of skin. If you have any heart problem, you need to take medical advice before taking steam bath.